A Classic Sacred Hiding Place Amulet that is well in excess of a Century old, the Pra Kru Wat Klang Tung, which was hidden in the Chedi Stupa 0ver 100 years ago by Luang Por Cham, Luang Por Bpaen, and Luang Por Sap. A highly recommendable and affordable ancient amulet of high sacred value, powerful blessings, from over a centruy ago. This amulet is hence not only a sacred Religious Votive Tablet, but is also a perfect study example for students who wish to accustom their eyes to the appearance of baked sacred clay amulets that are in excess of 100 years old. 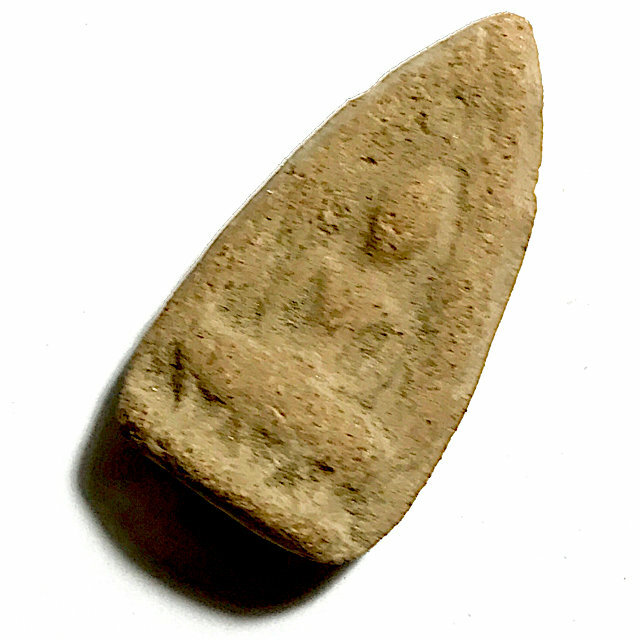 The amulet is typically used by advanced students as a reference for the ageing characteristics of sacred baked Clay amulets. In the year 2450, some of the Greatest Ayuttaya Masters of that Era were gathered together at Tung Ban Na in the old part of the ancient city of Ayuttaya, and decided that it was an opportune time to create Sacred Amulets, to bury within a Chedi Stupa, for future discovery, as is common practice for the preservation of Buddhism. These Gaeji Ajarn were namely Luang Por Cham, Luang Por Bpaen, and Luang Por Sap. Luang Por Sap himself was also responsible for having hidden the now famous Pra Nuea Pong Pasom Rae Kru Bpaag Bang, which were found hidden within the Kru Chamber of the Chedi of Wat Mai Bpaag Bang. The Pra Kru Wat Klang Tung Ayuttaya was then created under order of Luang Por Cham, who was the abbot of the temple at the time, with the collaboration of Luang Por Bpaen and Luang Por Sap. Luang Por Cham hismelf was extremely famed for his powerful Wicha Takrut Tone, and for his Adept ability in making Magical Sacred Powders. The three great Guru Master combined their Wicha to create the most powerful Sacred Powders, and empower them according to the Wicha of their respective Kroo Ba Ajarn, which was in those days still so immensely powerful, before the scientific Era, where Magic pervaded everyday life. 84,000 votive tablets were made in all, according to the 84,000 verses of the Tripitaka, and the rules of the Dtamra Saiyawaet Grimoire methods of making Buddha amulets. 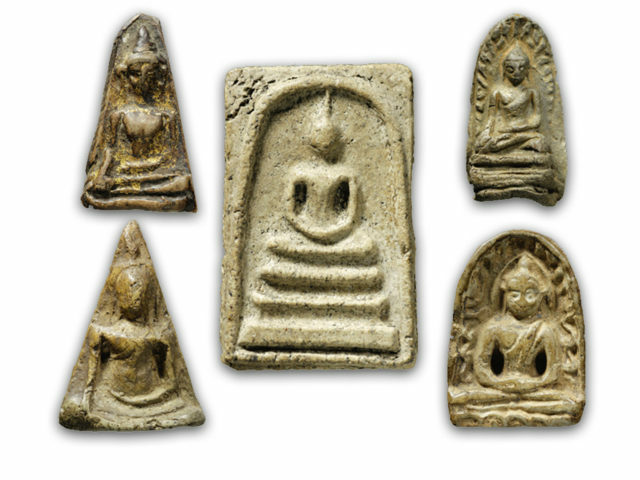 The amulets were subjected to a baking process to harden them, and were then placed inside the Kru Hiding Place Chamber of the Chedi Stupa of Wat Klang Tung. More than 50 years later in the year 2503 BE, the committee of the temple of Wat Klang Tung decided to open the Chedi Stupa Hiding Place, to remove amulets for distribution to devotees, to raise needed funds for the maintenance of the old Chedi Stupa and temple buildings in need of restoration, and for the further development of the temple. 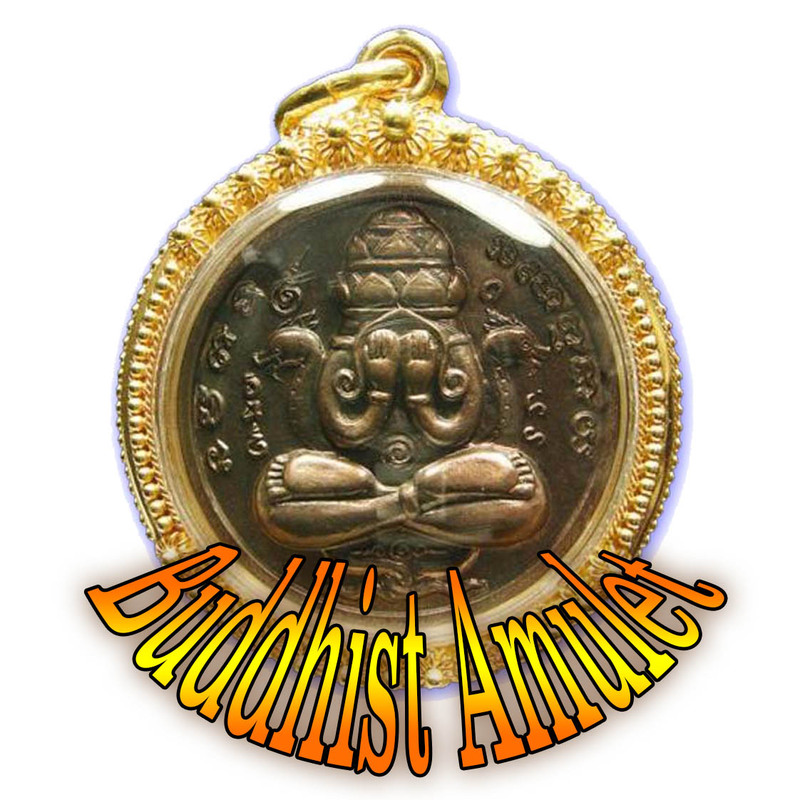 Thus, a number of the amulets were removed and entered into circulation, and the remainder were returned back to their hiding place within the Chedi, for a future occasion. Since their removal and release in 2503, the amulets have become recognised by the general public, and have already become a rarity, now that over half a century has passed since their release, and very few remain in circulation.